Algeria’s ailing President Abdelaziz Bouteflika appointed on Sunday one of his advisers to head the country’s constitutional council, the official APS news agency reported. Tayeb Belaiz, a 70-year-old former justice minister and judge, previously chaired the council from March 2012 to September 2013. Belaiz faced calls during his tenure for the council to initiate legal procedures to rule whether Boutleflika was capable of remaining in office, after the head of state suffered a stroke and was hospitalized in France for 80 days. In power since 1999, 81-year-old Bouteflika announced Sunday he would seek a fifth term in April elections. 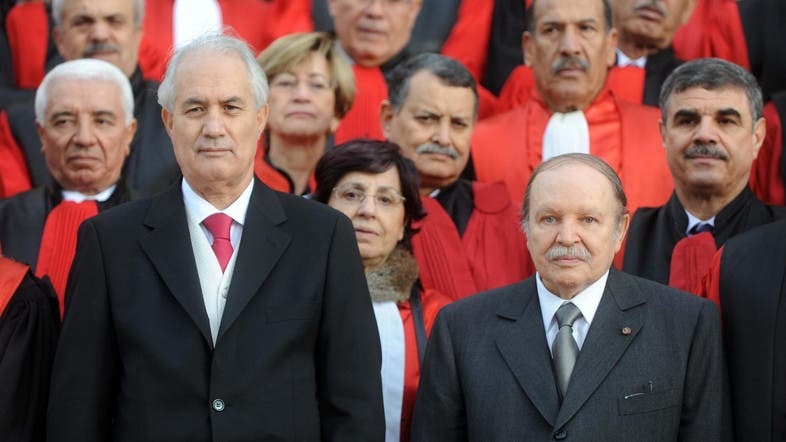 Belaiz left the council to become interior minister, and in 2015 became special adviser to Bouteflika. He will replace Mourad Medelci, who died in January from an illness at the age of 76. Composed of 12 members, the constitutional council is responsible for validating presidential candidates in elections, controlling and monitoring polls, and announcing the final results. It is also tasked with launching legal procedures to determine if a president is capable of continuing to serve in the case of “serious and lasting illness”, as well as marking the definitive end of a presidency in the case of death or resignation. Four members of the council, including its head and deputy, are appointed by the president, two are elected by each of the two houses of parliament, two by the Supreme Court and two by the state council.